Trematodes have some of the most complex life cycles in the animal world and usually include three hosts. 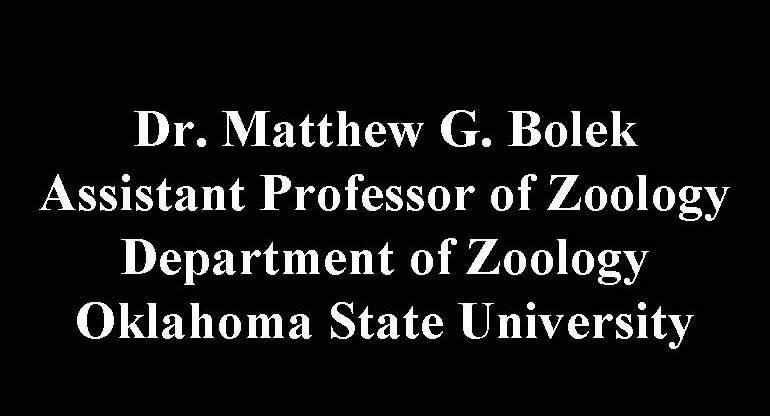 Our current studies concentrate on trying to understand the evolutionary avenues for and constraints on the transmission of these parasites to their amphibian hosts. Currently we are investigating two aspects of amphibian trematode life cycle evolution: 1) we are comparing the differences in life cycle strategies among closely related congeners and mapping those similarities and differences on current phylogenetic hypotheses, and 2) we are examining the role of anuran tadpoles in the truncation of trematode life cycles from three to two hosts. 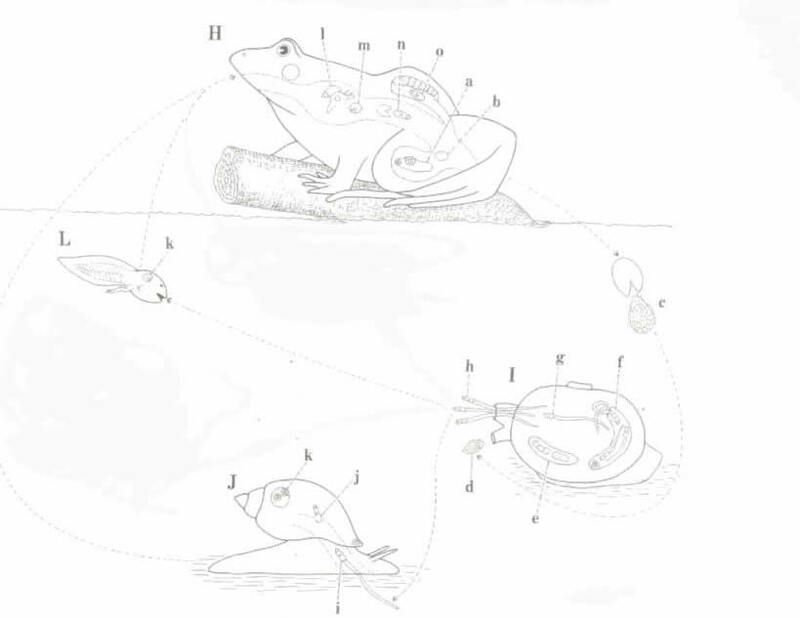 We work on the avenues for and constraints on transmission of frog lung flukes (Haematoloechus spp.) and the role of second intermediate hosts in these life cycles. Most frog lung fluke life cycles have been shown to use odonates as second intermedite hosts. However our studies in Nebraska indicate that there is a lot of variation in the use of second intermediate hosts among congeners of frog lung flukes. See frog lung flukes. 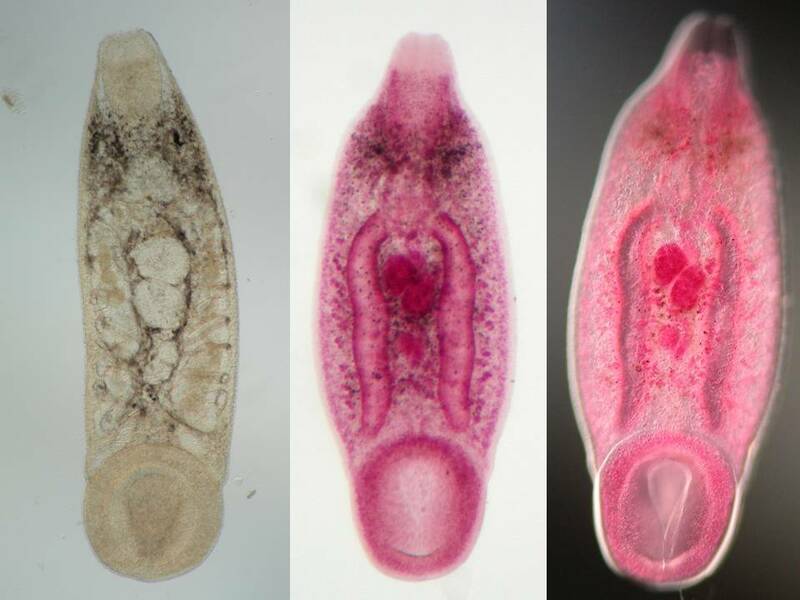 The life cycle of the frog bladder fluke Gorgoderina attenuata was described as forming metacercarial stages in snails and tadpoles. Our work on Gorgoderiana attenuata life cycle in Nebraska indicates that this species infects tadpoles and worms reside as juveniles in the kidneys. Additionally this species can form metacercariae in odonate second intermediate hosts. See bladder flukes. The amphibian rectal fluke Megalodiscus temperatus is one of a few amphibian trematodes that infects and becomes gravid in both tadpoles and metamorphosed anurans. Our recent work on these alternative life history strategies of M. temperatus suggest different selective pressures on the development and reproductive success of these worms in tadpoles and metamorphosed anurans. See Megalodiscus temperatus. 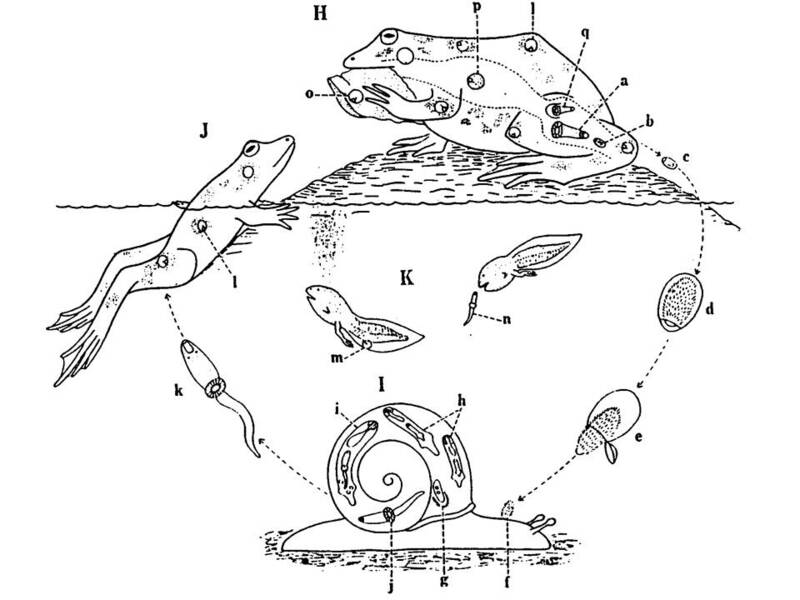 The original life cycle of Halipegus eccentricus was never completely elucidated. 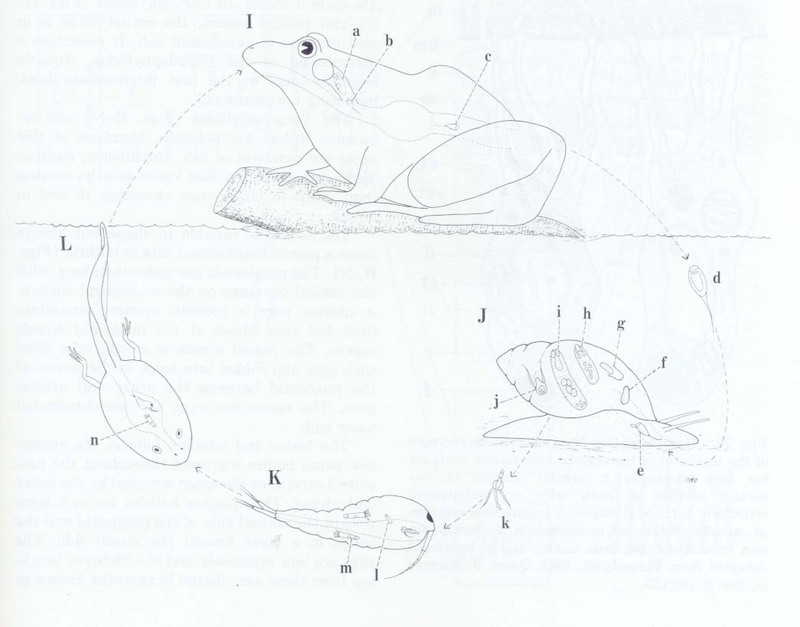 Thomas (1939) indicated that this species infected copepods as the second intermediate host and tadpoles became infected when they accidentally ingested these microcrustaceans, and it was assumed that tadpoles retained the infection through metamorphosis. Our work on the life cycle of this species indicates that H. eccentricus also uses ostracods as second intermediate hosts and odonates as paratenic hosts. We recently completed this life cycle of H. eccentricus in all four hosts (anurans, physid snail first intermediate hosts, ostracod second intermediate hosts, and damselfly larvae as paratenic hosts), indicating that H. eccentricus has a similar life cycle to other Halipegus species. See Halipegus eccentricus. Glypthelmins pennsylvaniensis is an intestinal fluke of treefrogs in the genus Pseudacris and cercariae infect tadpoles where they form metacercariae. Frogs become infected with adult worms when they metamorphose and ingest their skin. We recently began a host specificity study. Our work so far indicates that cercariae of this species can infect treefrogs as well as true frogs forming metacercariae, however true frog tadpoles loose the infection with days of infection. See Glypthelmins pennsylvaniensis. 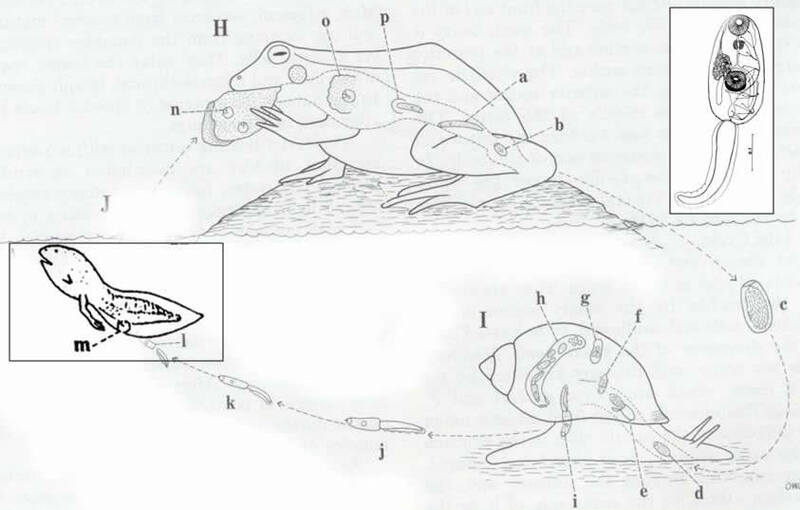 Glypthelmins quieta is an intestinal fluke of truee frogs in the genus Rana and cercariae infect metamorphosed frogs where they form metacercariae. Frogs become infected with adult worms when they ingest their skin. We a currently working on host specificity studies of this trematode in snails and frogs. Additionally we are studying the behavior of the cercariae. See Glypthelmins quieta. Allassostomoides parvus is an intestinal fluke of turtles and occasionally infects frogs. 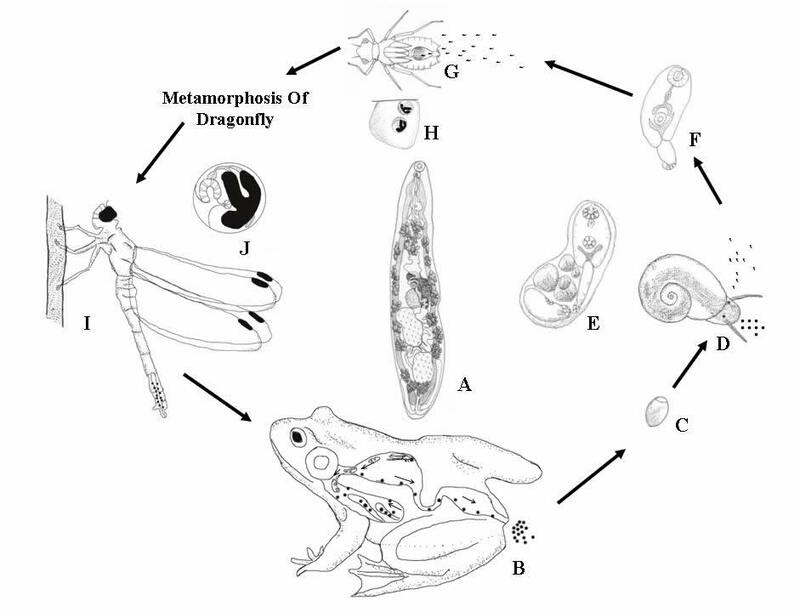 It is unclear how amphibians become infectged with this species and we are examining the avenues for and constraints on transmission of this trematode to amphibian hosts. See Allassostomoides parvus.